With the launch of another AAA title NVIDIA continues their Game Ready Driver model with their latest WHQL Drivers. 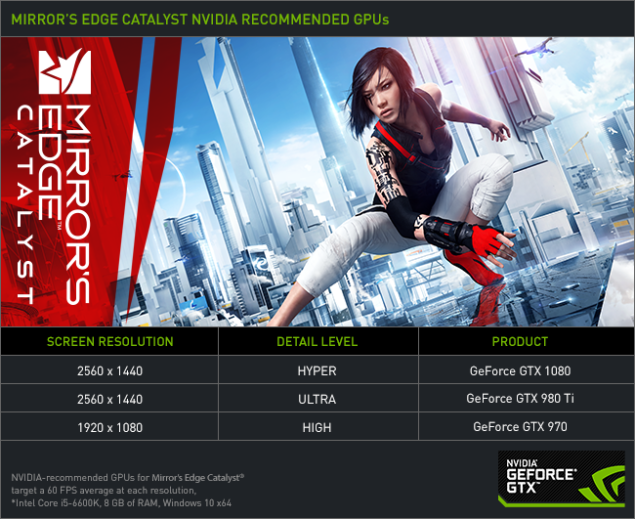 This iteration, GeForce Game Ready 368.39 WHQL, brings some new optimizations for Mirror’s Edge Catalyst and a new VR title, Edge of Nowhere. In addition to these optimizations is the fact that this driver is ready, ahead of launch, for the GTX 1070 which will be released this Friday, June 10th. Additionally, this driver allows for the “Hyper Setting” within Mirror’s Edge Catalyst. NVIDIA dedicated a full blog post to this, stating that these Hyper Settings were inspired by the power of the new GeForce GTX 1080 and GTX 1070 cards. Making full use of their blistering performance, and 8GB framebuffer, DICE is able to dramatically increase environmental detail and shadow quality, and further improve the quality of reflections, visual effects, environmental maps, image based lighting, motion blur, and Resolution Scale’s downsampling. Classed as “Hyper” settings, these enhancements enable users to explore a richer, more detailed Glass City on the very best PCs and graphics cards, delivering the definitive Mirror’s Edge Catalyst experience. 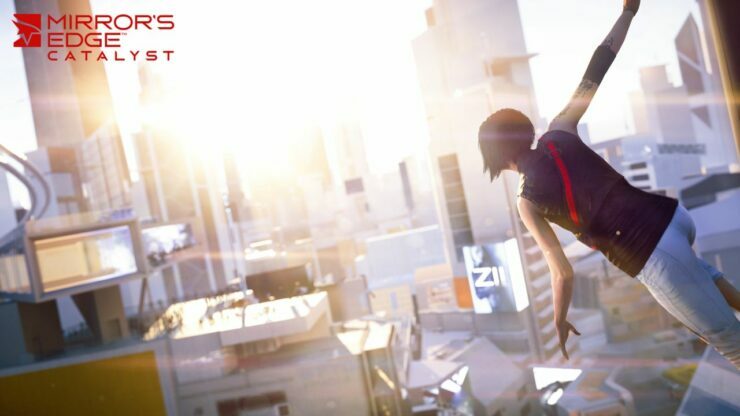 You can take a look at the videos captured with a GeForce GTX 1080 (Founder’s Edition) while running Mirror’s Edge Catalyst at Hyper Settings below. NVIDIA recommends the GTX 970 for solid 60FPS gameplay at 1080p HIGH detail settings. But, if you’re going to 1440p they recommend the GTX 980ti for ULTRA levels of detail, but all the way up the stack for the GTX 1080 if HYPER settings are your goal at 1440p 60FPS. Okay, so the latest AAA title isn’t on your radar, but what if you’re into WARFRAME or World of Warships? 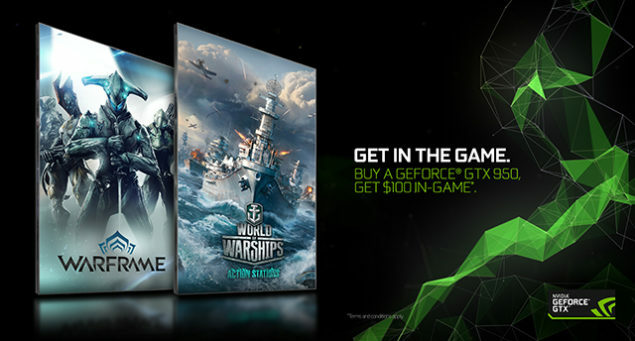 Well, NVIDIA also just announced their “Free to Play Bundle” where they’re tossing in an additional $50 in-game for each title to spend as you wish. If you’re into these games it could be something worth considering.